There are four boats in this picture. From left to right, the Island Queen. 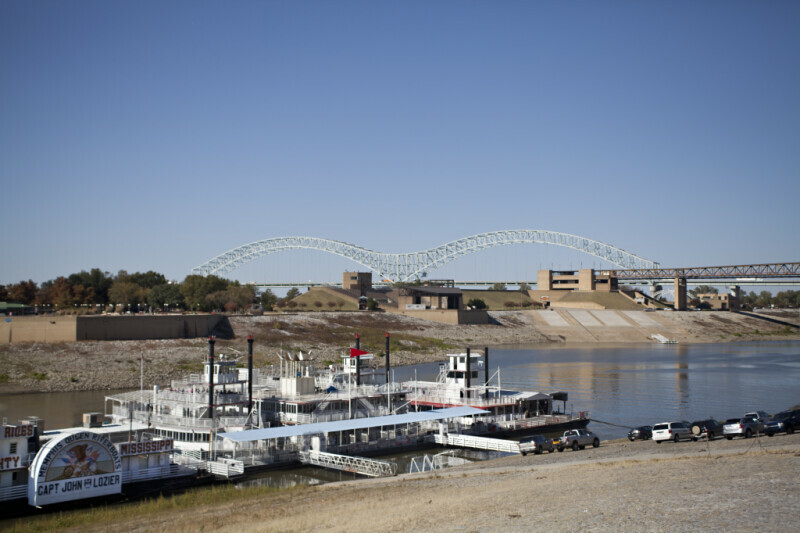 The Memphis Showboat, the Memphis Queen III, and the Memphis Queen II can be seen. The Memphis Showboat is a party barge, but does not leave the docks. The other three vessels are riverboats, with a paddlewheel to stern. The large, double through arch brige, in the background, is the Hernando de Soto Bridge. The brown metal frame bridge is used by the Memphis Suspension Railway, which is also known as the Mus Island Monorail.